Last week, the LG V20 and LG G5 both began receiving software updates. 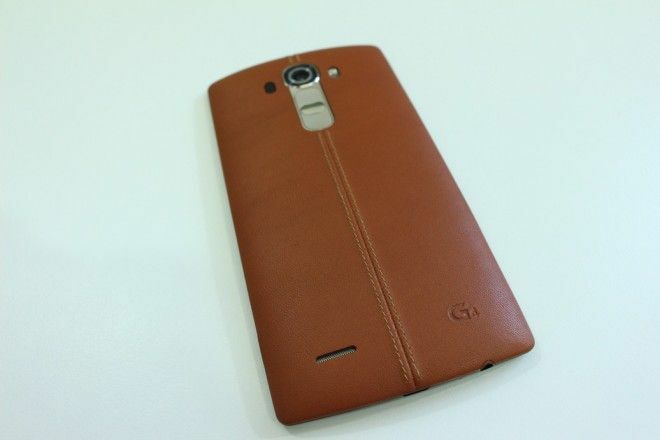 Now it’s the LG G4’s turn to be updated. T-Mobile has announced an LG G4 update to version H81120r. This is a smaller update, weighing in at just 88.8MB, and it includes Google monthly security enhancements. 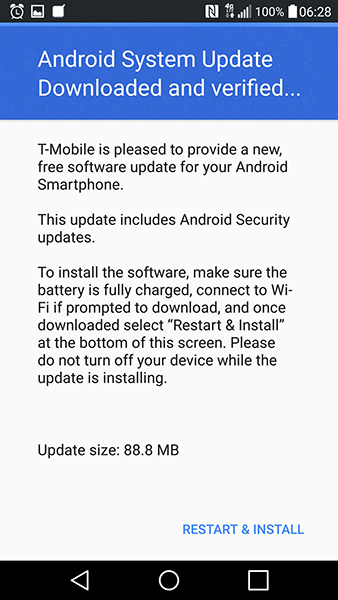 This update is now rolling out, and TmoNews reader Weilei Wang received it today. If you haven’t gotten the update on your G4 yet, you can check for it by going into Settings > System > About phone > Update Center > System updates > Check For Update. I hope with all these security updates, we get nougat also soon. This just popped up on my G4 from a different carrier. The second update in about 45 days, and I now have the 1/1/17 security patches. Usually they are three months apart. I wonder if it is some sort of prep for Nougat? I saw that sort of thing once before on another Android phone I had. looks like a prep for nougat. Security patches has to be in place before the G4 can be upgraded. Makes sense. This took me from H81120q to H81120r. Didn’t happen automatically. Had to “hard click” on “about phone”, “software info”. My main problem w. the LG4 is that my “double tap” to open phone screen doesn’t always work and have to do battery pull. No physical “on” button on G4 like other phones. LG did replace the mother board that died a couple months ago. The physical on button is between the volume buttons on the back. it sure would be.. specs are still on par to handle it despite almost 2 years of age. I got this update over a week ago. What exactly is Google monthly security enhancements?